In “How To Meditate (And Change Your Life)” I’ll be sharing my favourite step-by-step processes for making big shifts in your life – in just 10 minutes a day – no matter how busy you are. Most of us want to make changes in our lives. But we think it’s going to take loads of time and effort, so we put off even getting started. And then, guess what? You hit your 80th birthday party and look back, wishing you had made those changes years ago. But it doesn’t have to be that way – you can start to change your life today. I can show you how. Meditating – even just for ten minutes a day – is one of the most powerful tools you can use for gaining insight into the changes you want to make, and how to make them stick, not to mention generally cutting your stress levels, feeling calmer and feeling happier. 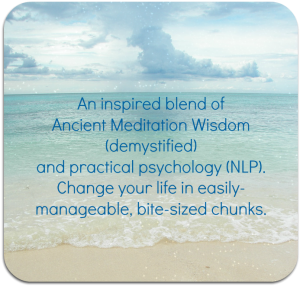 Combine that with a generous sprinkling of NLP (the ‘user manual for your brain’), practical common sense, ancient wisdom and a dollop of humour – and just imagine how potent a mix it could be! Over the past twelve years, I have guided many thousands of people through how to change their lives, using exactly this combo. And it works. And some of the top achievers in the world are clear that their daily Non-Negotiable Meditation Time is the foundation for their success. People have understood for thousands of years how important daily meditation is. But we’re great at making excuses, putting it off and convincing ourselves that it’s too difficult, too painful, too scary or we don’t have time. It doesn’t have to be that way – when you know the insider secrets and short cuts that make it easier! 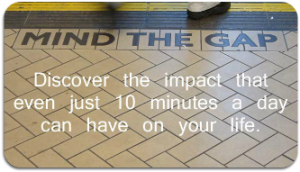 Do you want to discover how 10 minutes a day could change your life? Think about it for a moment – 10 minutes a day – you easily spend that on an unexpected phone call. Do you think that you could possibly find 10 minutes a day in your schedule (I can help you with the ‘how’! ), if you knew that your Non-Negotiable Meditation Time would help you to feel less stressed, feel calmer, feel less anxious, concentrate more easily (get more done! ), feel less irritable, feel less overwhelmed, feel more at peace and smile, for no reason? Changing your life is easy, when you know how. And that’s exactly what I share with you – step by step in bite-sized chunks – in this online course. They’re specially-designed to be quick and easy to read. The twice-weekly messages are a combination of meditation and NLP and they act like a virtual coach. When something resonates with you, dive in and get using it. All of the techniques are designed to be quick to learn and easy to apply. Sit back and listen to your meditation – you’ll get five of them over the 90 days, so you can try out different styles. Enjoy watching your life change! I promise you – this stuff works! In fact, some students email me to tell me that they are noticing shifts even in the first week! 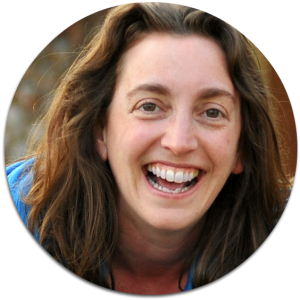 “This course helped me re-focus and find a peaceful moment in the day. It felt like a had a reassuring hand on my shoulder, willing me to allow myself 10 minutes a day to find peace. What Makes “How To Meditate (And Change Your Life)” Unique? Like most good meditation courses, of course it teaches you how to meditate – you’d expect that! … Even if you’re feeling impossibly busy! That’s what makes the critical difference between meditation being a ‘nice idea’ and a life-long love affair. When the going gets tough, I stick around with you! Meditation is a potent tool for changing your life. After a while, you increase your awareness of the habits and thought patterns that no longer serve you – and you’ll feel inspired to deal with them! And, as part of this course, I share with you the simple, yet profoundly effective tools you need to make the most of that, right when you need them. So you can easily shift your experience of life. “Throughout the 90 days – and beyond – I felt like I had a kind and firm hand on my shoulders. I felt reassured that all was well. How to make meditation comfortable and easy – and how not to fall asleep – and it’s not about turning your legs into a pretzel! How to handle your pesky Monkey Mind and its incessant chatter – without waging war on it! “This was a deeply personal, much needed exercise that I looked forward to on a daily basis. This is my signature meditation course – it’s amazingly effective and does so much more than just help you to meditate, if that’s what you want. If you’re not ready yet, here’s a 7 day introductory course that you can try out for free – but if your heart is even toying with the idea of joining in, then I invite you to sign up for the full 90 day programme – your ‘future you’ will thank you for it! I’ve been there and done it! I’ve been where you are, right now. I’ve wanted to make changes in my life – and to learn to meditate. And that took me 20 years! (Yes, you read that right. It’s a story I’ll share with you, during the course! 🙂 ). With this course, I can help you to cut your journey from 20 years to 90 days. Sounds good? I have been a certified NLP Trainer for over a decade and a formally-trained Meditation Teacher for much of that time. Combine this with my ‘original incarnation’ as a Masters Degree qualified Mechanical Engineer and you’ll see where the bucket-loads of common sense come in – they help to turn the complex and potentially ‘woo woo’ techniques into simple, practical and inspirationally effective strategies. And I love to laugh – so I hope never to take myself too seriously – and that comes across in the way I teach. 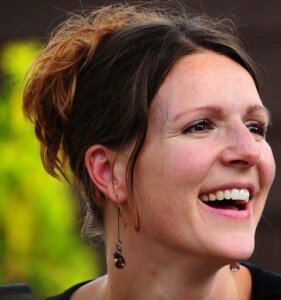 I’m also a busy Mum of 3 youngs boys and an Author, as well as running my business. So I know about meditation excuses – and I know what it feels like, to feel too busy to change your life. That’s why I created this interactive meditation programme – to make it easy for you – in bite-sized chunks, with the tools, techniques and insider secrets you need, right when you need them. I want to let you in on a secret! I ONLY want you to sign up for this course if it feels right for you. If it doesn’t, that’s cool! No worries! 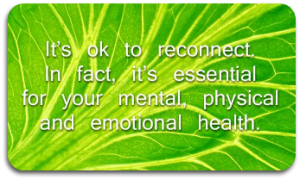 It’s really ok! How can you tell whether this is the right choice for you? Take a moment to pause and gently close your eyes. Take a deep breath in through your nose and breathe out through your mouth with an ‘ahhh’ sound – releasing any tension and stress as you do it, coming back to this moment. Do this 3 times. Now I invite you to imagine it’s your eightieth birthday – or a birthday at least ten years ahead. 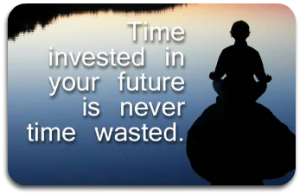 Allow yourself to settle in the shoes of that ‘future you’. 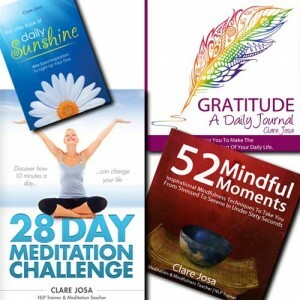 Now imagine that you chose, today, to join in with How To Meditate (And Change Your Life). Looking back at that choice, see it with the eyes of that eighty year old future you. See it with that future you’s heart and life experience. Does that old choice or action make any difference to the eighty year old you? Did it change the course of your life? If yes, was it in a way that you would want? What advice would the eighty year old you give the younger you, in this situation? Coming back to the here and now, what have you discovered? 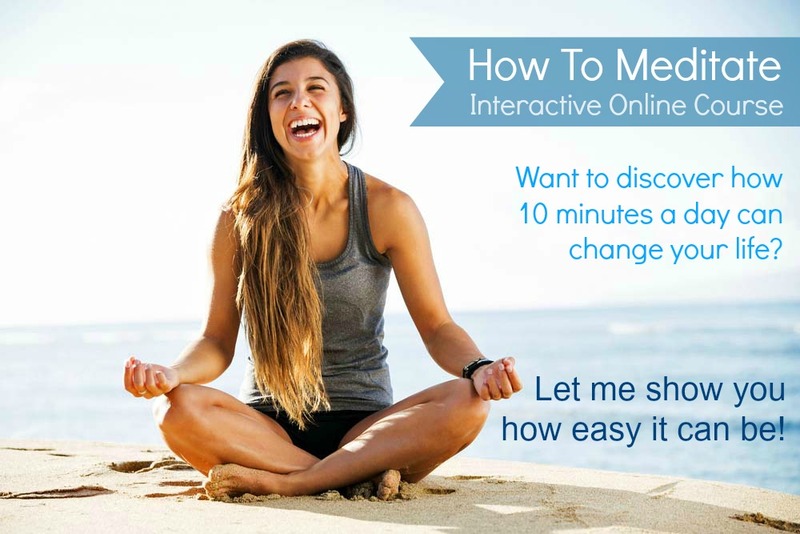 Are you ready to discover how ten minutes a day can change your life? Most people don’t get round to changing their lives. Make sure you’re not one of them. But I know already that you’re not ‘most people’, or you wouldn’t be reading these words. If your heart is calling you to join in with this programme on 1st May, then I urge you to take action now and to make that commitment to your future. Today’s choices create your tomorrows. If this course feels like one of those choices you’ll look back on and know in your heart is the right thing to do, then I invite you to prove it to yourself, by making sure you don’t miss out – and signing up to join us on 1st May. I’m in the process of updating this gorgeous 90 day interactive online meditation course, based on input from the past two years’ of students. It’s going to be even more amazing and life-changing than it already was. On May 1st, instead of this course being an interactive online course, I’m going to be running it as an Inner Circle programme (these are like gold-dust), meaning you’ll get to work with me, as part of the invitation-only online group, to truly make the shifts you have been dreaming of! 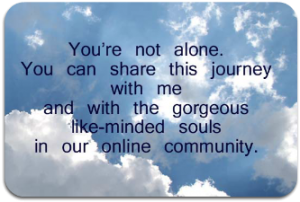 AND I’ll be spending even more time than I usually would, supporting you in the online community. To do this meditation course as an Inner Circle programme, as we’ll be doing from May 1st, would normally cost £497. It’s over 2 years since I last did this – and I’m not sure when I might do it again. To celebrate the relaunch, I’m going to give you that upgrade as my gift. So I’m only asking you to donate the regular price for the 90 day course, which is £97. That’s about $147 USD. Try How To Meditate (And Change Your Life) on for size for 30 days – that’s over 4 weeks of twice-weekly emails, 2 of the 5 meditations, fun in the online forum, experimenting with the life-changing techniques and more. If, after trying the course out, your heart genuinely tells you that it’s not for you, that’s ok. Simply reply to one of the daily emails and a member of my team will sort out a full refund for you – no tantrums, no awkward sulks, no hard feelings. Your happiness matters to me, which is why I’m offering you this guarantee. So you have nothing to lose and a lifetime of meditating magic to gain!